learn from risk-taking regardless of the outcome. Think about that. Bean Counters. Not innovators. Not problem-solvers. What is the value of education, and what does that mean for our pedagogy and curriculum? If information is readily at hand, isn’t our focus the analysis, verification, synthesis, and application/innovation of that information to better the world? Isn’t it time we build the learning communities that fit today’s world? Not the business world, but the world of helping each other as citizens of a connected world? Read Walter’s post and think about reform — and your children and grandchildren’s futures. Imagine in your mind, a map of your community. Nothing detailed; just the boundaries and general lay of the land. Got it? Now add in the major areas in your community where people live and work and play. You know, to give yourself some bearings with a few landmarks. Still with me? Good! Now convert this mental image into a heat map. You know, where the hot spots flare up in bright yellows, oranges and reds? Picture in your mind hot spots that indicate places people go to learn new things and practice skills that are important to them. Where are those heat surges? Athletic fields? Dance studios? Book stores? Parks and beaches? Art galleries? Theaters? How about school buildings? No? 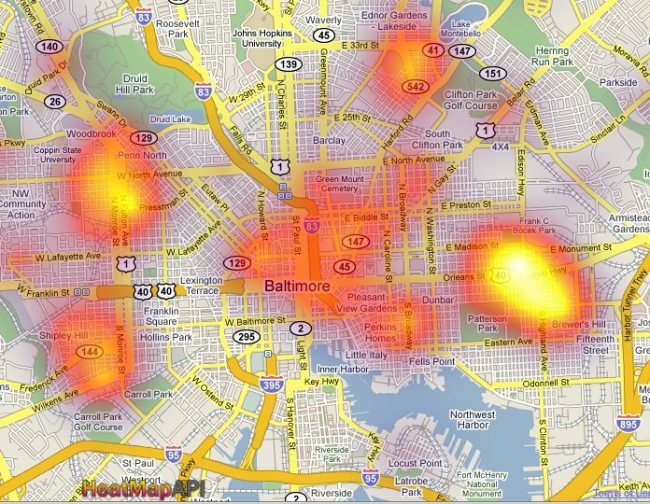 Why aren’t school building hot spots on anyone’s heat map? This entry was posted in Consider. Bookmark the permalink.